The Chinese sailor Guo Chuan, the first Chinese who completed a non-stop solo circumnavigation in a 40ft yacht, together with crew members from France, Germany and Russia will challenge another world record of non-stop navigation through the Northeast Passage of the Arctic Ocean in early September. He will skipper the former IDEC- Trimaran IDEC which was renamed as “Qingdao China” and the extreme challenge is due to start in early September. After over two months’ refitting in Lorient, “Qingdao China” will be officially launched at La Trinité sur Mer. An important partnership between Guo Chuan and Desports who have recently acquired the Spanish Malaga FC will be announced at the media briefing. 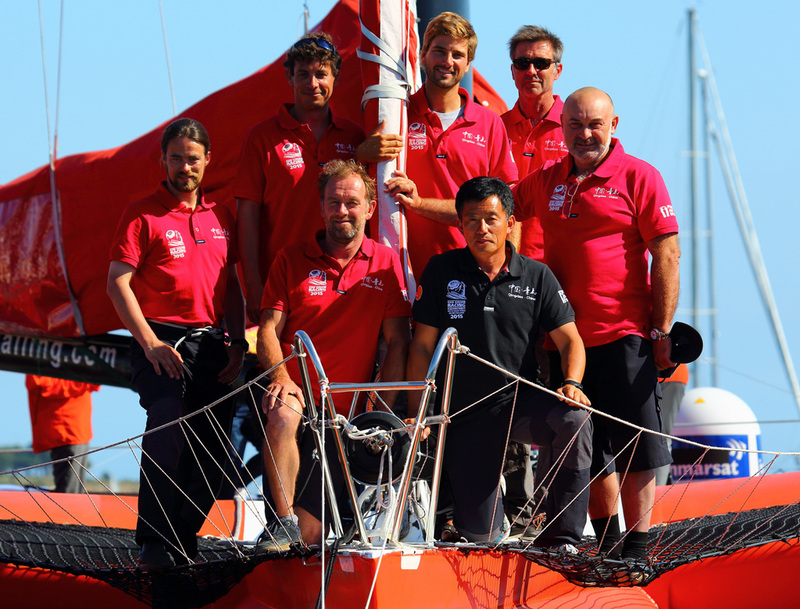 Sailor, Guo Chuan, Chinese sailor, record, North East Passage, trimaran, Qingdao China, Trinité-sur-Mer, Brittany, France, extreme challenge. Chinese skipper Guo Chuan has set a new world record for sailing solo and non-stop around the globe. 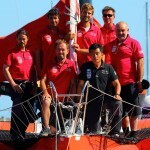 Guo sailed back into his home city of Qingdao in Shandong Province, eastern China, after 137 days and 20 hours after setting out in his Class 40 (12-metre) yacht, also called Qingdao. A twin town cooperation between Qingdao and Brest has been agreing since 2006.